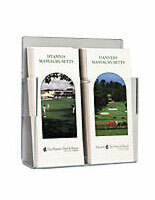 This pocket magazine holder effectively and efficiently provides literature for patrons to take. 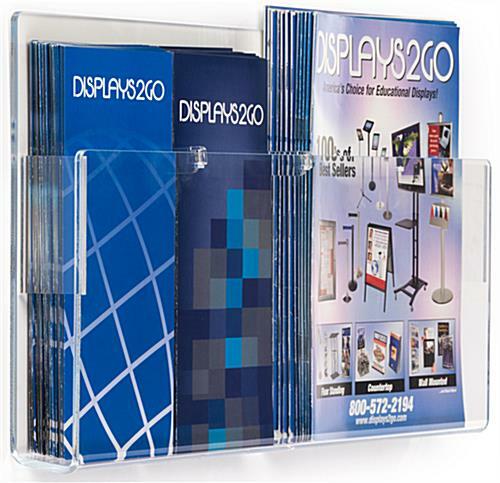 These brochure racks mount to the wall, which leaves valuable counter and floor space open for other purposes, such as displaying merchandise. 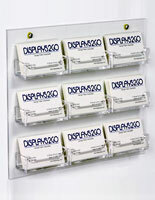 Many businesses prefer the wall-mounted pocket magazine holder over other units because it can be displayed practically anywhere in an establishment. 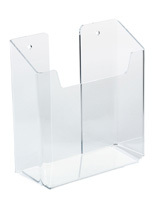 Featuring an acrylic construction, this brochure holder is stylish. 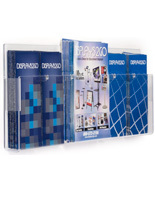 The pocket magazine rack holds either two stacks of 8.5" x 11" magazines or four stacks of 4" x 9" pamphlets. 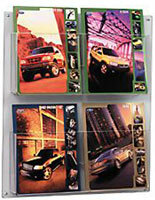 Removable plastic pegs come with each literature holder to change the size and number of slots. 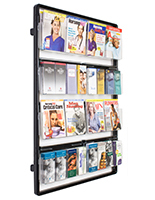 Each pocket magazine rack, also known as a catalog storage display, has pockets that are 2" deep for storing numerous leaflets. 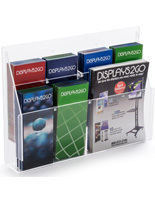 The clear acrylic allows customers a full view of each stack of pamphlets stored in this pocket magazine rack. 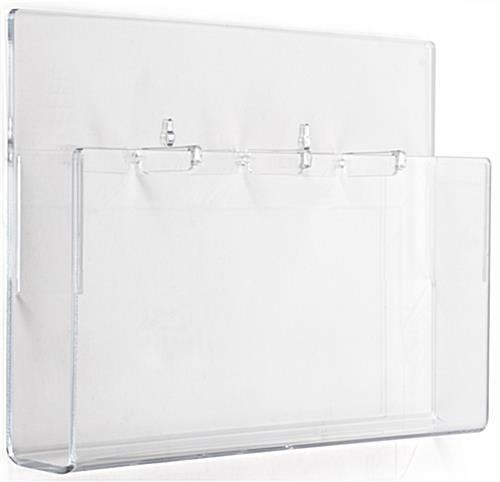 Additionally, the transparent construction of this display allows it to coordinate with the décor of almost any business, such as a bank, travel agency, medical office, or retailer. There are pre-drilled holes on the back of this unit for wall mounting. Screws and anchors come with each purchase; no additional hardware will be required when mounting this unit to a wall. Needed realtively flat magazine racks for my dental office. These really fit the need.